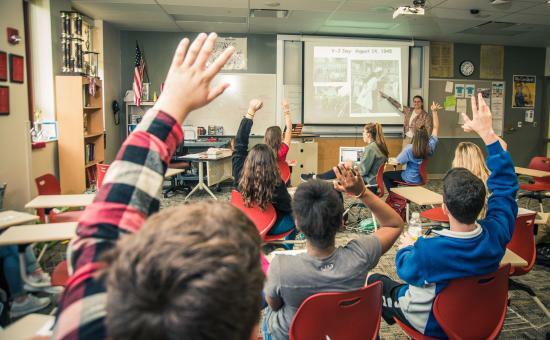 The Indiana State Teachers Association is a professional association organized to sustain quality public education, improve students’ educational opportunities and advance the professional status of educators. To develop and organize members as leaders, professionals and active citizens to improve the professional status of educators and educational opportunities for Hoosier kids. Unified voice - we are stronger together. Economic security and professional working conditions for educators. Premier public education system that serves all kids regardless of ZIP code, culture or ability. Our kids. Our schools. Our future. Demonstrated by ethical behavior, professionalism and commitment to stakeholders. Demonstrated by vision, progressive advocacy and the resolve to be an inspiration to the future. Demonstrated by a diverse and inclusive professional community that values its democratic, equitable and empathetic culture. Demonstrated by the power of a unified voice, collaborative action and mutual support. ISTA is a member-governed organization. The ISTA and National Education Association Representative Assemblies (RA) are annually convened meetings to review and approve the business of the Associations. RA delegates are members elected by their local associations to represent them. ISTA is a member-governed organization, which annually conducts Association business at its Representative Assembly (RA). The governing documents outline the current policies directing the Association’s work.